While age is a relative thing — the 60-year-old tennis player may be in better shape than the 20-year-old couch potato — time takes its toll on the human body in terms of physical changes. After age 30, humans start losing muscle mass and after age 40, bone mass declines. Tendons, which connect muscles to bone, and ligaments, which hold joints together, become less elastic and are easier to tear. These changes and others affect our ability to enjoy sports as we grow older. Some of the sports that people do today, such as snowboarding and extreme skiing, put even more stress on the body. The human body is not designed to perform many activities, including traditional sports. A professional baseball pitcher rotates his arm at a velocity of about 7000 degrees per second at one point in the pitching motion. That’s equivalent to rotating your arm all the way around 20 times in a second. When a pitcher lets go of the ball, it’s like someone is pulling his arm out of its socket. Because our bodies were not designed to withstand the stresses of some sports, professional and amateur alike, participation can cause physical damage. The most common sports injuries are ankle sprains, shoulder and rotator cuff problems, shin splints, Achilles tendonitis, pain in the front of the knee, elbow problems and low back pain. Fortunately, the body is very good at repairing itself, but as we age, that too changes and the body takes longer to recover. You need to decrease the repetitive impact to your body, particularly your joints, to continue to enjoy the game with fewer aches and pains. 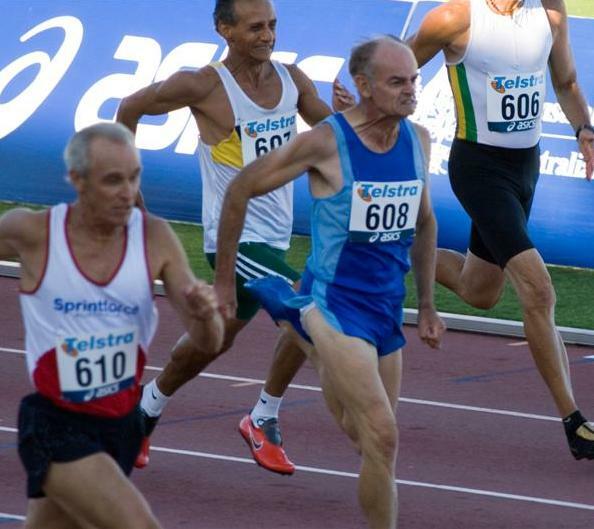 How you perform your sport makes a difference in how your body adapts to it when you age. Modify your sport as you can. Switch from singles tennis to doubles, from running to bicycling, or from advanced ski hills to the more basic slopes. You may not be able to play three times a week anymore because that doesn’t give the body enough time to repair itself. In the meantime, work on your flexibility and strength. As company physician for the Milwaukee Ballet, I’ve found that ballet dancers have a low injury rate because they have such incredible flexibility and strength. Stretching to increase flexibility and lifting weights to build strength makes you a better athlete and makes the body a better shock absorber. By conditioning and increasing muscle mass, the body is able to better absorb repetitive impacts. Using a heavy weight with fewer repetitions (about 12) will build more muscle mass, but also may cause injury. Using lighter weights and about 30 repetitions per exercise is safer and still provides improved strength. Lifting weights damages muscle, but when it is rebuilt, it is stronger than before. You may be able to lift two to three times a week and still play sports and allow your body a chance to heal. Cardiovascular fitness is important, too, as heart disease is one of the major causes of death. In order to exercise the heart, you must raise the heart rate with exercise. For the greatest cardiovascular benefit, exercise three to five days a week, 20 minutes a day, to get your heart rate between 60 and 80% of your maximum. Calculate your maximum heart rate by subtracting your age from 220. Cardiovascular exercise should involve the legs (running, walking, tennis, bicycling, stairmaster, etc.) because legs have large muscles and require a lot of blood to work. Research has shown that several short exercise sessions, such as climbing stairs, during the course of the day have the same effect as one long bout in lowering triglycerides or blood fats. Some aging athletes are concerned that playing sports will make their arthritis worse. Arthritis is a natural condition that affects the surface coating of bones in our joints. Each of us has a genetic predisposition that helps determine when our joints will wear out. While a serious joint injury may affect that timetable, moderate exercise will not. You may feel more symptoms from exercise, but it will not cause additional damage. In fact, some studies show that exercise reduces pain in arthritis sufferers. Warming up, stretching and anti-inflammatory treatments like ibuprofen pills or cortisone or Synvisc injections may help relieve symptoms but won’t slow down the natural progression of arthritis. Nutritional supplements like glucosamine and chondroitin may also reduce symptoms. They are not miracle cures and we do not understand how they work yet. Surgery, of course, is the last treatment option for aging athletes. Joint replacement surgery is generally very successful with minimal risks. But artificial hip and knee joints have a life span of about 15 years. 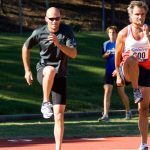 And while cartilage replacement surgery is sometimes possible in younger athletes who have otherwise healthy joint surfaces, it is not an option for older athletes with more wear and tear on their joints. Finally, where back pain is concerned, it’s a part of nearly every person’s life at some time and may be caused by muscles, nerves, bones or discs. And often when we speak of “throwing out our back,” we have sprained one of several small joints in the lower back. Strengthening the abdominal muscles with crunches — modified sit-ups — will help prevent most back pain. 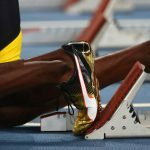 ← Dynamic or Static Stretching ?